The new acquisition will be the first in the museum’s collection depicting a female African-American historical figure, and was funded by a grassroots effort led by a local African-American businesswoman named Marilyn Johnson. The majority of that fundraising, Johnson says, was raised from the black professional community in Austin over a four-year period. The museum is purchasing the piece for $72,000 – all but $3,000 of which has been paid off. 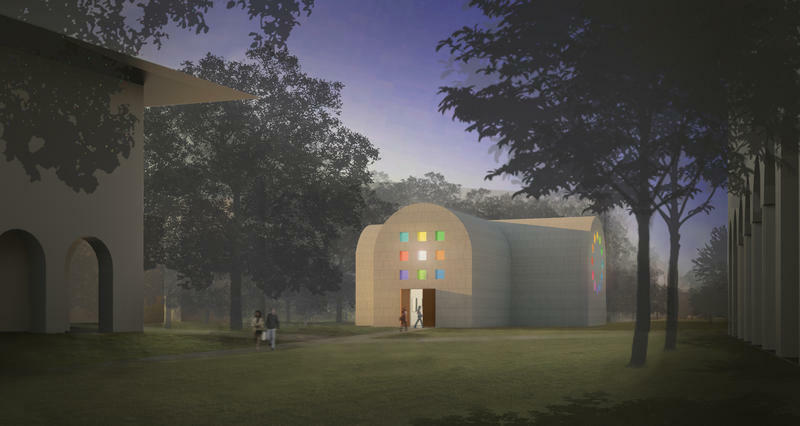 The museum, which relies on private fundraising and donations to procure new works of art, welcomed Johnson’s efforts. And Roberts began working with her to decide which work of art to buy. They chose the sculpture entitled Madam C.J. 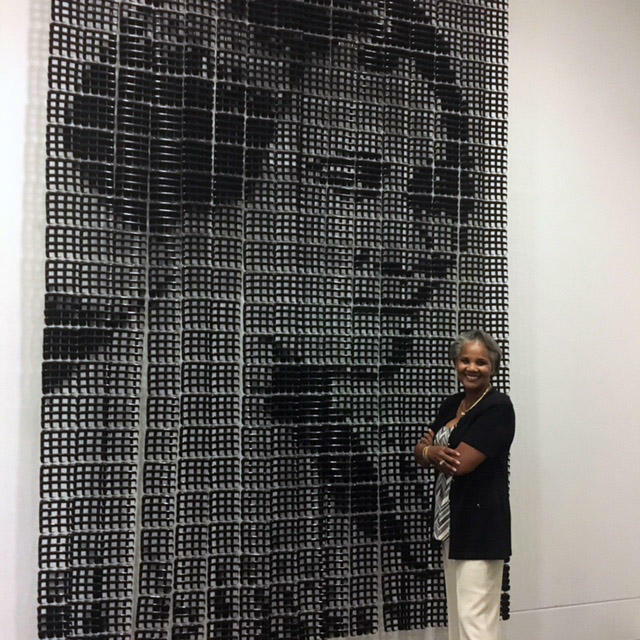 Walker, by African-American artist Sonya Clark, for both its aesthetic appeal and its historical significance. Walker became one of the richest women in US in the 1910s for selling her line of beauty and hair products. Walker’s company encouraged African-American women to work as saleswomen and encouraged them to strive towards financial independence. Madam C.J. Walker will be unveiled along with the rest of the Blanton’s reinstalled permanent collection on the Feb. 12. James Drake had a simple goal. He wanted to show the world what goes on in an artist's brain. In his exhibit “The Anatomy of Drawing and Space (Brain Trash)," the Santa Fe-based artist displays two years of daily drawings of human anatomy, animals, scientific formulas, original poetry and thousands of illustrations. 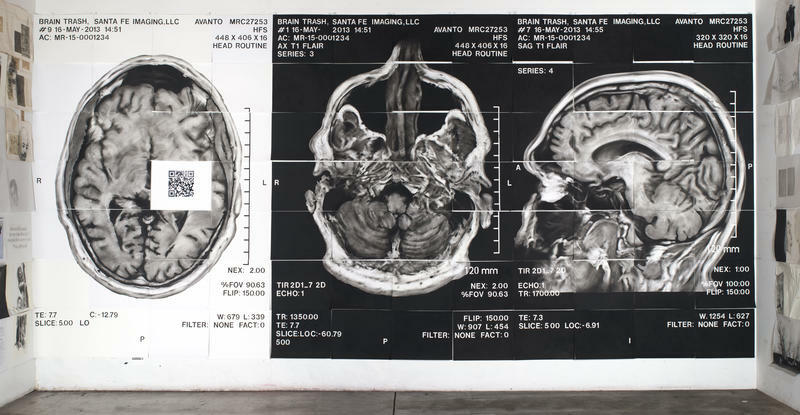 He also took his goal of peeking into an artist's brain to heart by incorporating MRI images of his own brain into the floor-to-ceiling exhibit.